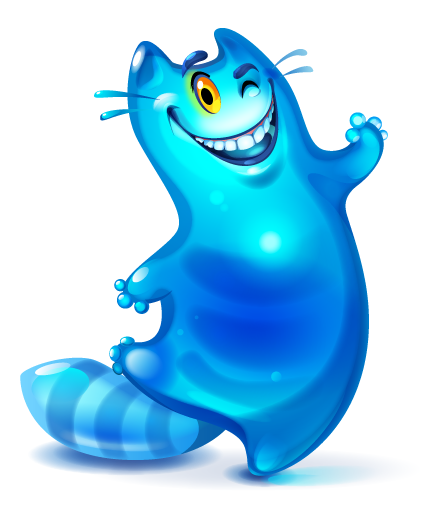 Our new story is devoted to a funny character created exclusively for NetCat. The company is engaged in offering off-the-shelf packaged websites all across Runet. And they, to our greatest pleasure, expressed the need for a corporate cartoonish character! 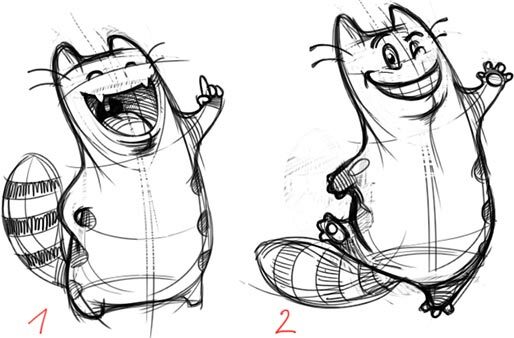 The next pleasant surprise was that the character was supposed to be a cat. 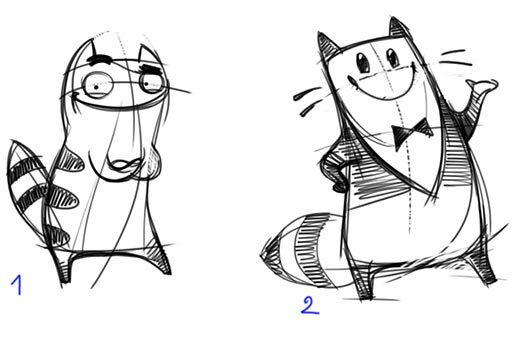 Having ourselves familiarized with the website of NetCat and having grasped the essence behind the project, we decided that the client needs a rather special Cat. I’d say an outstanding Cat. In anticipation of excitement our designer experienced an outburst of creative energy, which resulted in a hefty bunch of sketches. So we got a cunning cat and a tuxedo-clad socialite cat. Relaxed cat and a licking cat. 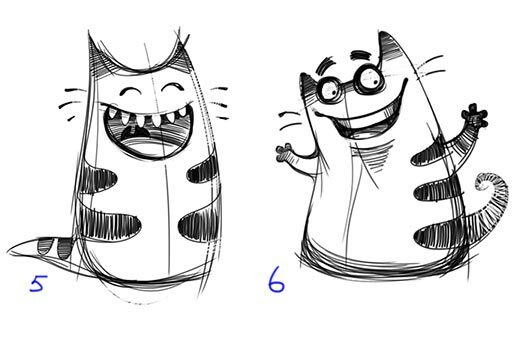 Laughing cat and a cat wearing spectacles. 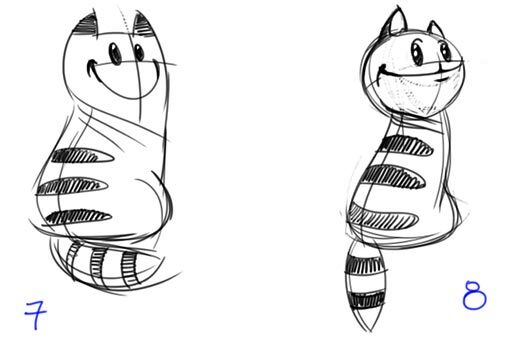 We decided to proceed with Cat No.7. 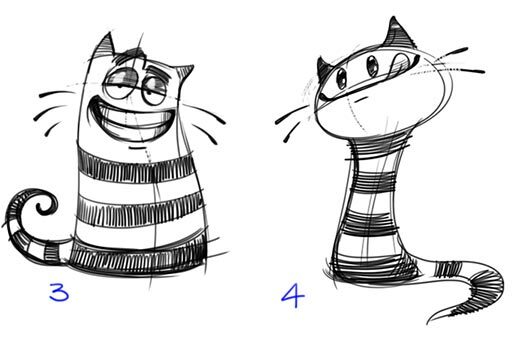 Having been inspired by the project we not only started drawing the character in color but also came up with a legend behind the cat. You see, it’s a special cat and not even a cat at all in some ways! We call him a Cat but he is clearly a Web dweller in a form of a blue cat able to change its shape like some sort of liquid. 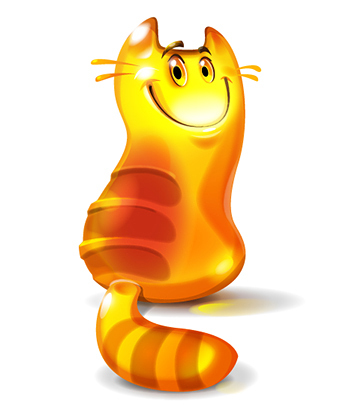 He is very similar to a piece of jello came alive – there are air bubbles inside him and the light shines through his body. Simply put, it’s is a new digital life form, since the future is imminent! 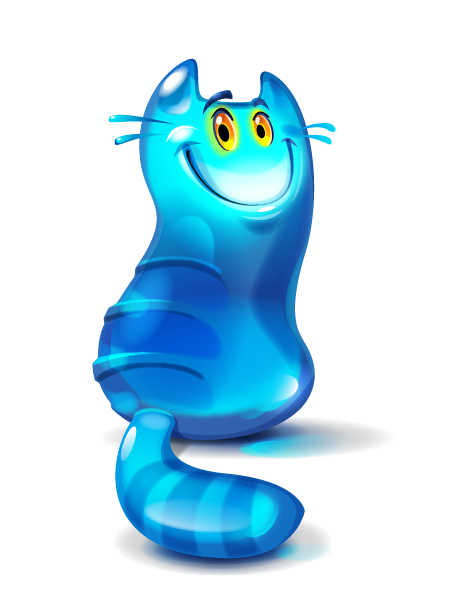 Our jello-like character keeps its shape but is always ready to transform easily. It can grow himself a paw or a random number of transparent fingers on a paw. So the Cat gained yet another pose – a dancing Cat! We had to give up on the lollypop yellow color in favor of ultramarine blue. And in order to accentuate on his exceptional nature, we drew blue mouth and tongue!